I’m visiting my folks in Jupiter, FL, and they have a big garden where the broccoli has flowered. Right now, it is completely covered in bees of both the native and honey bee variety. My normal perception of Florida is that it is always green and lush, but right now, there really aren’t a lot of plants in bloom so the bees are going to take what they can get. 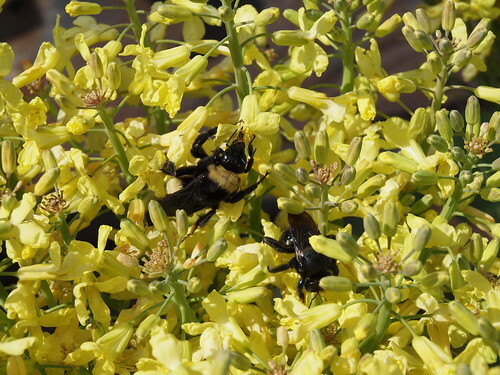 I managed to capture two different bumble bees next to each other. 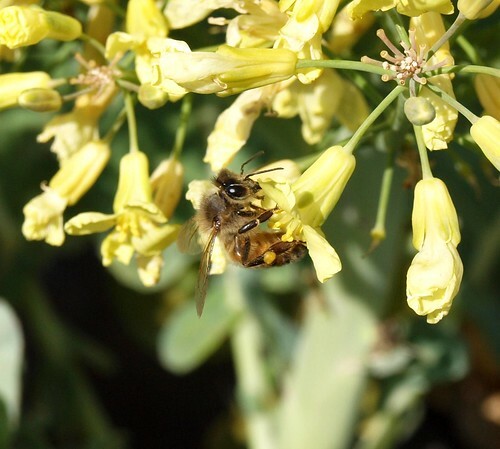 Here is a shot of a honey bee gathering nectar and pollen.